Anger management for a toddler? I want to figure out how to react to anger outbursts. Our daughter is known to have at least one of these in a day — getting angry over something seemingly minor and inconsequential (admittedly from an adult perspective). Like yesterday, while I was browsing an IKEA catalog sitting next to her, she spotted a picture of her bed in there and took the book from my hand. After a while I requested it back and began flipping, but soon realized that she got angry at me for losing the page where her bed was. Before I knew it, she was flinging her toy tray at me. Later she repeated the act once again with the tray and then with the catalog itself. Her anger at me losing the page sustained for a good 15 minutes or so even after letting her calmly know that it was unacceptable for her to behave that way, and changing setting etc. In most of these bouts, she later regrets and sometimes apologizes on her own or with some calm loving prompting later …and genuinely seems to regret her reaction. Once she offered an apology hours later to her nanny for something rude she had said earlier, taking her by surprise both times (by her rudeness earlier and later with her apology). What’s the best course of action for an adult when caught in the next such outburst? Is there some underlying cause we may be overlooking, or something we should try to find out? Underlying anger is often a sense of helplessness. Sometimes also fear. Compounded by fear of anger and of helplessness. While your daughter can manage the way she expresses the anger, that by itself is not going to make her sense of helplessness go away. In homes where children are seen and not heard and (children’s) anger is not tolerated, children may even learn not to express the anger and accept helplessness as a given state. Let me try to imagine what might have happened with the catalogue. She took the book from your hand in order to look at a picture that interested her. While she was looking, she was on top of her game. She had the book, she had the page, she saw the picture. We are a long way from the days when photographs surprised small children. Recently while in the public library however, I witnessed the awe that one can still feel when seeing oneself in the press. Looking at a copy of an article I wrote in Home Education Magazine, my daughter’s eyes grew wide in amazement. ”I can’t believe I am in a real magazine,” she whispered. I wonder if your daughter felt a similar wonder when she saw her bed in the catalogue? So in one moment she was gazing upon her bed in all its glossy catalogue glory. In the next moment, the page was lost and she did not know how to find it. Perhaps you would have found it for her, but that isn’t the same thing is it? She is helpless, and this makes her angry. In such a situation, telling a child not to express anger is kind of like telling her not to feel helpless. After all, Mama is there to find the page for you — but this only accentuates the sense of helplessness. Because when she first spotted the page, she was not helpless. She was in charge. She liked the feeling of looking at the catalogue, just like Mama does. Now she lost that feeling. This is not to be dismissive, quite the contrary. What I learned was to recognize that there is a special kind of angst that befalls a child when she realizes that in fact, after all, the world does not make sense. As adults we accept this and do not expect things to make sense. We do not expect answers to every “why?” and even stop asking. In contrast, a child who has spent the first three years of her life investigating each and every thing from how the door opens and closes to the laws of gravity to acoustics to fluid dynamics, and gaining knowledge at every step of the way, will eventually reach a point where the simple laws of cause and effect don’t have one-to-one correspondence with observed reality. For example. One of the moments I recall from when my daughter was three-and-a-half, was when we were going to the library. She knew the way, obviously, and took the lead. At one intersection she wanted to turn left. The library was on the right. See where this is going? At some point, the answers do not depend on any prior knowledge that we have gained, such as the laws of physics, or any other laws knowable and predictable by us. The library is there (right turn) and not there (left turn). Why? It is not necessary, but contingent. And this profoundly disturbs what we have understood about the world till now. Perhaps if I had been the kind of Amma who did not entertain “why” for everything, we would not have come to this realization. Perhaps if I had regularly declined to explain my words and actions and instead said things like “because I said so” and “don’t ask why” we would not have encountered this problem at the age of three-and-a- half. 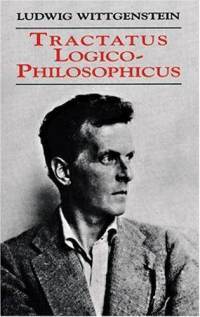 Ludwig Wittgenstein, Tractatus-Logico-Philosophicus. His inner toddler rings through. Coming back to our walk to the library, what this means is that the question of why the library was on the right and not on the left led back to an infinite series of questions. And for each question, another question … and a growing doubt: is there any logic underlying this at all? What was necessary and what was contingent? When they decided to build the library on the right, why did they not decide to build it on the left? I said that I did not know but eager to satisfy the burning, nay, exploding question before me, I ventured that perhaps something else had already been there on the left. Now the gates were really thrown open. We would not be able to answer our question unless we could answer all the questions back to the beginning of the town planning. Revealing a more basic question, who decides? This perhaps causes the most anxiety of all. Till now even though very few decisions were made by herself, she had full confidence that everything was as it should be with no scope for error or incompetence or whim on the part of the decider. That for some questions, there is “no reason,” is merely our jaded-adult way of saying that the complexity of the reason is greater than our interest in the matter. It is simply the case that the library is on this side. Anger, I have come to understand, comes from a feeling of lack of control. I once observed this after a long day when some small thing set my daughter off. Bystanders presumably think, “why is this child making so much fuss over such a small thing?” But the fuss is not over that small thing. It is the residue of the long day in which very little was decided by her, or even explained well enough in advance for her to dig into the whys and wherefores, or do much else but just follow along, just because she is little. Though it might help and be only fair, to balance this with other days where she can choose what to do or to do nothing, this does not solve the underlying problem, or at least one of them. One wants not merely control in the sense of calling the shots but control in the sense of understanding, and being able to predict and trust people and the world to make sense. On the top of my checklist for pre-empting the sense of helplessness is: avoid rush. Rush gives the more experienced person the upper hand. Avoiding rush gives children more control over their time and prevents the sense of helplessness from building up. I also try to see that she is well-fed, well-heard, well-rested, well-hugged, well-run-around … and also go through this checklist aloud with her, as mentioned in Crying for no Reason.. Though my inclination is to try to prevent situations that lead to anger, I must reluctantly acknowledge that anger is a part of life and maybe we should look at it constructively. It can help reveal to us where our insecurities lie. We overcome anger and fear when we move from control to connection. So when we try to manage our anger, and how we express our anger, this should not result, as it has for so many of our own generation, in merely suppressing our anger or disconnecting from our angry selves. Often we remind ourselves and others to look at “the big picture” and recognize that the matter that angered us was not worth getting angry about, that we should focus on the positive. Certainly I do this. But I wonder if we might be missing the real “big picture” and the chance to channel the energy of the anger for good. Back to the pressing question – how to respond when the anger is raging? I try to remain present and available without hovering. If there is throwing or kicking involved, I try to offer alternate objects such as a ball or pillow. Sometimes we have even done imaginary kicking of planets or asteroids (in an effort to match the scale of the anger). * What is here is not there. 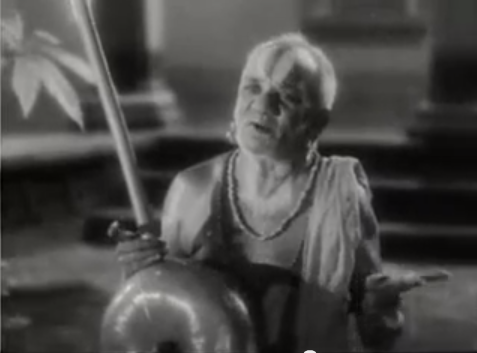 The depth (and illusion) of this realization is expressed in an unparalled verse recited by Krishna disguised as a frail old man in Maya Bazaar. swaha – a term meaning handling/disposing/tackling. small fish tackled by big fish, small illusion tackled by big illusion. I think of it as also being engulfed by … small illusion engulfed by big illusion. **It is worth getting the book, to curl up with, but if you want to read online, with the German original and two translations handy, here is a lovely site: Tractatus Logico Philosophicus side by side comaprison. Next Ups and downs, even upside down! I wanted to add to aravinda’s response..often letting your child know that you understand that they r angry and acknowledging their anger but gently letting them know that throwing or hitting is not how to deal with it has worked wonders for me. anger especially a continued phase is often a child’s need to express themselves when they feel they are not being heard or understood. Also evaluating how u deal with your own anger with the child/others around you is important and modeling that humor or deep breaths or simply walking away till u cool down and coming back are all techniques they can use instead of yelling, raising your voice or throwing tantrums, etc. Sonika, I am working on moderating my response as well, but when I do react badly, I talk about it later. Once I wrote a note telling K that if I ever do x again, she can fine me – the fine would be 25 jumping jacks. This lightened up the situation and also let me acknowledge my own shortcomings. 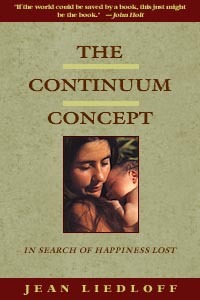 Re: reading material, I added: Jean Liedloff, The Continuum Concept. Thanks Aravinda for this very thoughtful and insightful explanation. I found that when we try to prepare D for what lies ahead in the day, she often feels impatient and sometimes distressed. For example, when we tell her that we are going to Chennai the next day, she gets so excited and wants to go right away. I remember feeling the same as a child. So I try to delay telling her plans as much as possible. Of course the string of “whys” help us explore too. We sometimes deal with anger and disappointment by going out for walks or just running around the ground or park.